Mrs Justice (Sarah) Asplin grew up in Southampton where she attended the local comprehensive school and Southampton College for Girls before going on to study law at Cambridge. She was called to the Bar in 1984 and specialised in pensions law, professional negligence and trusts disputes. Justice Asplin was appointed both a Master of the Bench and Queen’s Counsel in 2002. She was also the first female tenant and first female Head of Chambers. 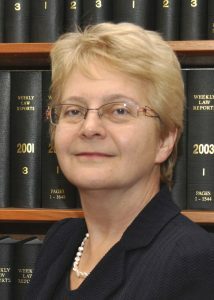 Justice Asplin was made a Deputy High Court Judge in 2007 and was only the third female judge appointed to the Chancery Division of the High Court in October 2012. She has been involved in many high profile pensions cases, including PNPF v Taylor & Ors which was about the huge deficit in the industry wide pension scheme for ships’ pilots and a derivatives case (Property Alliance Group V Royal Bank of Scotland) which was concerned with alleged rigging of the LIBOR rate in London. Justice Asplin is also an honorary fellow of Fitzwilliam College. Mr Justice (Peter) Coulson grew up in Hampshire. He received a full scholarship to attend Lord Wandsworth College and went on to study English and law at University of Keele. He was called to the bar at Gray’s Inn in 1982 and became a well-respected junior at the Technology and Construction Bar from 1983 onwards, specialising in construction and professional negligence. Mr Justice Coulson was appointed as a Queens Counsel in 2001 and he became a Recorder the same year. In 2004 he was appointed a Senior Circuit Judge in the Technology and Construction Court. In 2008, still under 50, he was appointed as a High Court Judge in the Queen’s Bench Division. He was a presiding Judge of the North Eastern Circuit between 2011 and 2014, where he sat mainly in murder cases including the trial of the teenager who killed the Leeds schoolteacher, Ann McGuire. Mr Justice (Tim) Holroyde was born in Liverpool. As a child, he moved schools several times following his father’s work for a chain of department stores. He received a scholarship to attend Bristol Grammar School, before going on to study Law at Oxford. He received a scholarship from Middle Temple to enable him to study for his Bar finals which he completed in 1977. His early years involved mixed practice in crime, general common law civil and some family work, eventually specialising in crime and personal injuries. Appointed Queen’s Counsel in 1996 he practised almost entirely in criminal cases on the Northern Circuit. He was appointed to the High Court in January 2009. From 2012 he was a Presiding Judge of the Northern Circuit. He appeared as counsel for the prosecution in the trial that followed the 2004 Morecambe Bay cockling disaster and in 2012 Mr Justice Holroyde presided over the seven-month trial of Asil Nadir on fraud charges. Mr Justice Peter Jackson grew up in Dublin. He was educated at Marlborough College before going on to study law at Oxford. Called to the Bar in 1978, he had a mixed practice until 1990 when he specialised in child law and medical treatment cases. He was appointed Queen’s Counsel and a Recorder in 2000. He became a Deputy High Court Judge in 2003 and was appointed to the Family Division of the High Court in 2010. 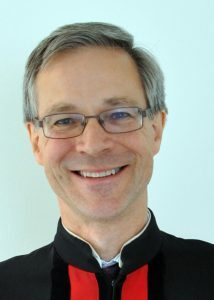 He was Family Division Liaison Judge for the Northern Circuit from 2011 to 2017. In 2011 Mr Justice Jackson made a landmark ruling allowing journalists to attend hearings in the Court of Protection in a case about an autistic man who had been kept away from his home and family by a local authority and in 2016 he wrote a judgment using simple language and emojis in the hope that the children involved would be able to read and understand it themselves. Sir George Leggatt read Philosophy at King’s College, Cambridge, studied at Harvard University as a Harkness Fellow, was a Bigelow Teaching Fellow at the University of Chicago Law School, and worked at a law firm in New York, before practising as a barrister in London from 1985 until 2012. His practice was mainly in the area of commercial law. He was appointed Queen’s Counsel in 1997. He became a Recorder of the Crown Court in 2002 and a Deputy High Court Judge in 2008. He was also Vice-Chair of the Bar Standards Board, the regulatory body for barristers, from 2006-2008. He was made a Justice of the High Court (Queen’s Bench Division) in October 2012. He has sat regularly in the Commercial Court and the Administrative Court. 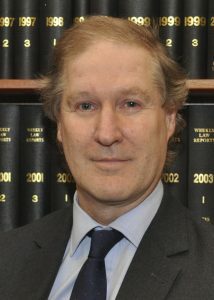 Mr Justice (Guy) Newey grew up in Sevenoaks where he attended Tonbridge School before going on to study law at Cambridge. Called to the Bar in 1982, he also taught criminal law and constitutional law at Cambridge in his early years as a barrister. His practise at the Chancery Bar focused on litigation with a strong emphasis on appearing for public bodies. 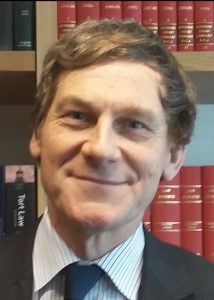 Before his appointment as a Queens Counsel in 2001, Mr Justice Newey was one of the Junior Counsel to the Crown and Junior Counsel to the Charity Commissioners. In 2003 he became an (Acting) Deemster of the Isle of Man, and in 2006 he was appointed as a Deputy High Court Judge. He also served as a DTI inspector, inquiring into the affairs of MG Rover and associated companies. 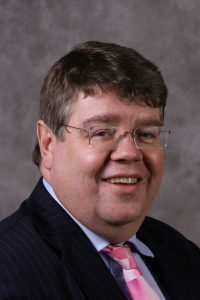 Mr Justice Newey was appointed to the High Court in 2010 and has been the Chancery Supervising Judge for the Midland, Wales and Western Circuits since 2014. He has also sat in the Upper Tribunal, Competition Appeal Tribunal and County Court. 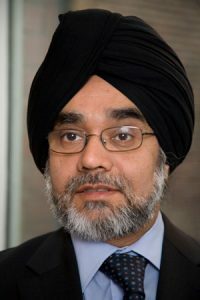 Born in 1964, Mr Justice (Rabinder) Singh grew up in Bristol and attended Bristol Grammar School. He went on to study law at Trinity College, Cambridge, then at the University of California at Berkeley as a Harkness fellow. From 1986 to 1988 he lectured in law at the University of Nottingham. He was called to the Bar by Lincoln’s Inn in 1989 (becoming a Bencher in 2009) and appointed as a QC in 2002. His practice was in public law, human rights and employment law. He was on the Attorney General’s Panel of Junior Counsel to the Crown from 1992 to 2002 and also the Additional Junior Counsel to the Inland Revenue from 1997 to 2002. He chaired the Administrative Law Bar Association from 2006 to 2008. Mr Justice Singh was appointed as a Deputy High Court Judge in 2003 and a Recorder of the Crown Court in 2004. He became a High Court Judge in 2011 and was a Presiding Judge of the South Eastern Circuit from 2013 to 2016. 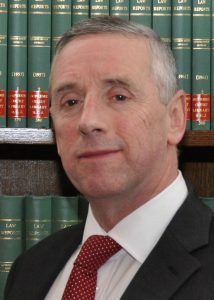 He is now the liaison judge for the Queen’s Bench Division (Administrative Court) in Wales and the Midland and Western Circuits. He has held visiting posts at Queen Mary London and the London School of Economics and is currently an honorary professor at the University of Nottingham and a Visiting Fellow at Lady Margaret Hall, Oxford.